Available now! Register to start your course today! 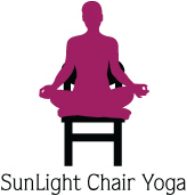 Please share your interested level in this chair yoga self-paced online course. This course is open to yoga teachers, nurses, OT's, PT's, social workers, dance teachers, caregivers and all inserted in sharing Chair Yoga. If you have been teaching yoga please write the # of years in this box.